Ipsy time! This months theme is beach beauty. Ipsy has been getting really creative with their bags lately! 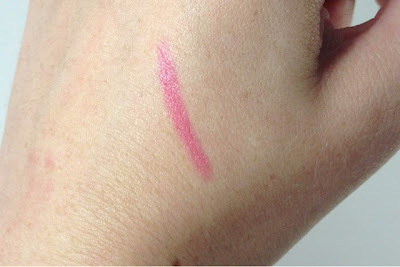 This one is a cylindrical, see through pink. On the front is the cute Ipsy stamp. This one I didn't price since it's a small sample. Usually Ipsy doesn't give small samples like this and goes for larger deluxe, travel size or full size products. This stuff does sound pretty cool though! 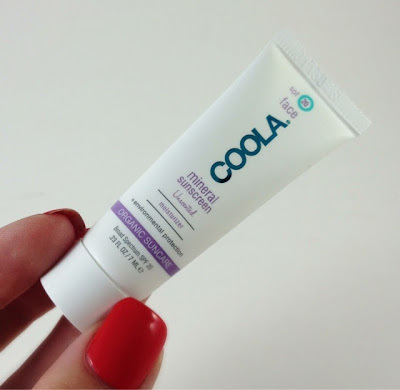 Here is what Ipsy told me about this sunscreen; "a clear, Titanium Dioxide based formula (for those who are Zinc sensitive) made with 98% natural ingredients. Organic Acai Oil - high in Omegas-3/6/9, Vitamins B1/2/3, plus antioxidant Vitamins C and E - delivers a powerful defense against aging. Organic Sunflower Seed Extract promotes elasticity while organic Linseed Oil, containing Alpha-Linolenic Acids, reduces redness and irritation. The phyto-protector Plankton Extract rejuvenates, as organic Cucumber Extract calms skin." 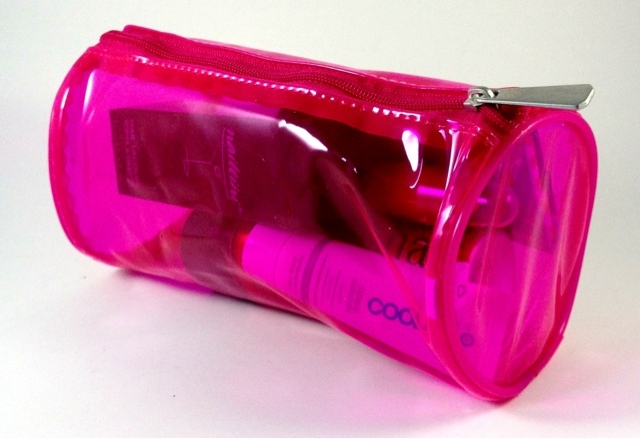 Plus it's waterproof for up to 40 minutes which is perfect for the beach! I can't wait to bring this with me and try it out. Enter the code IPSY at coolasuncare.com to get 30% off your order! Ipsy must be in my head. I have been worried at my new job with the summer humidity frizzing out my hair that I constantly give off the appearance of being a crazy person. Then Ipsy comes along and hand delivers me this! I used it as soon as I opened the bag as a light mist over my head and smoothed it in. It does harden hair a bit but it's a sacrifice I'm willing to make. My hair stayed nice and frizz free for practically the whole rest of the day. I may have to upgrade to a full size when I run out! Good thing Ipsy included a coupon. Enter 108723 at checkout to get $5 off any $25 order or more on ulta.com. Pop Beauty sells their Pop Pouty Pop Crayons in a set of 6 for $25. Ipsy sent out one in each bag this month. My color is Coral Crush, a bright preppy pink. On this skin the color was translucent so it wasn't as bright. Use the code POPLUVSIPSY at checkout on popbeautycosmetics.com to get 20% off your entire order. The Pop Pouty Crayon leaves a minty tingle on your lips that plumps and rounds lips. I like the bright color for summer on my skin tone. It has a matte looking finish so I like to top it with a gloss for extra sparkle and shine. This palette includes an eyeshadow from each of the BH Cosmetics California Collections. One from Hollywood, San Francisco and Malibu. The full palettes include 16 eyeshadows and four blushes/bronzers with a fold out mirror, each palette retails for $17.95 but they are on sale now for only $9.95. 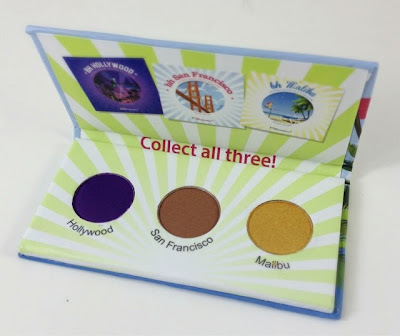 Hollywood is a matte purple, San Francisco is a baked bronze with slight shimmer and Malibu is a super shimmery metallic yellow. Malibu reminds me of a more yellow version of Urban Decay's Maui Wowie. I've never tried BH Cosmetics before but heard that they were a wonderful affordable cosmetics option. Hollywood was not very pigmented on the skin. It clung to creases on the skin and didn't hold well to smooth areas. The purple looks very pretty in the pan but it just didn't translate well. San Franscisco is a pretty bronze with shimmer. It was slightly more pigmented but still a little washed out compared to the shade in the pan. Malibu was the shade I really liked! It clung to the skin very well and gave an even shade. The shimmery yellow picked up light and was very reflective. Enter the code IPSY on bhcosmetics.com/ipsy to get 10% off any California Collection Palette. I have gotten Nailtinis before in Ipsy bags and I always like the shades but this may be my favorite! Mai Tai is a bright color (it matches the Pop Beauty Pouty Pop Crayon I got!) in the bottle. On the nail it actually dries a shade darker but I still love it. The formula was exceedingly easy to work with and I only needed two coats for full coverage. I wore this yesterday with my Pop Beauty Pouty Pop Crayon and some coral bracelets with a black dress for a dash of color and got a lot of complements. Enter the code hot4ipsy at checkout on tinibeauty.com to get 30% off your purchase! Nicole by OPI Pretty in Plum is from the Selena Gomez collection. This is not a regular Ipsy bag product, I received this as an extra for referring two friends last month to Ipsy. I usually don't buy Nicole by OPI but I was pleasantly surprised by this shade. It was practically a one coater and was very pretty purple with subtle pink shimmer that shifts in the light. Thanks for the extra Ipsy! Overall I got a good value this month with my products totaling around $35. Not bad when you're only paying $10 a month! I love that I got two polishes. 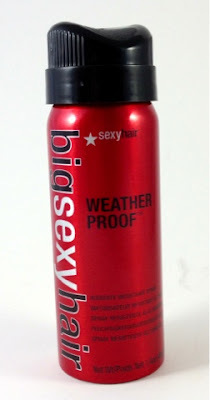 The BigSexyHair Weather Proof hair spray and Pop Beauty Pouty Pop Lip Crayon are awesome products! 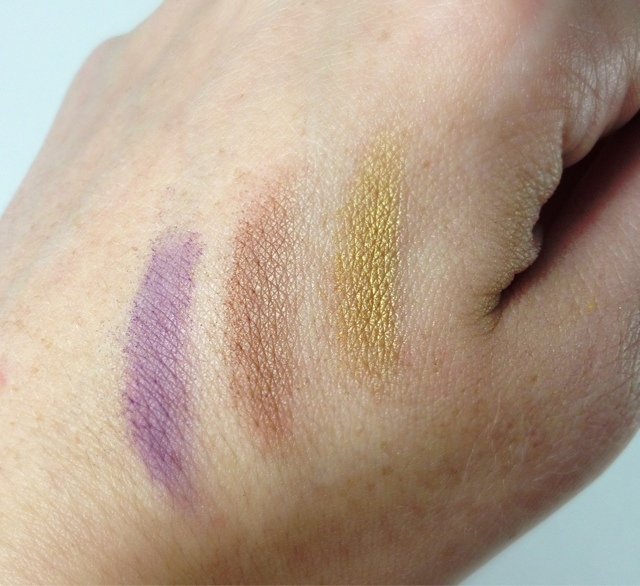 The BH Cosmetics California sampler was so-so since two of the shades were not very pigmented. The Coola Sunscreen will be a nice item to use on a day out and we'll see how it holds up then. 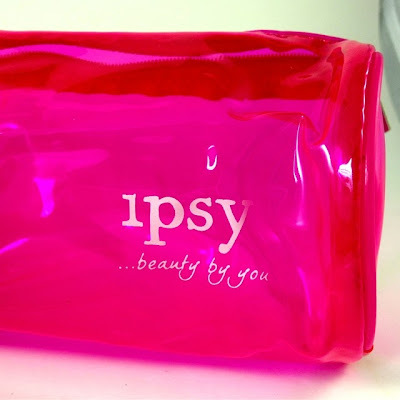 Interested in signing up for your own Ipsy bag? Just click here and take their beauty quiz! They'll match you with products to try out each month all packaged in a cute keepsake Ipsy bag. It's only $10 a month and you always get more than you paid for! You can cancel at anytime without penalty. 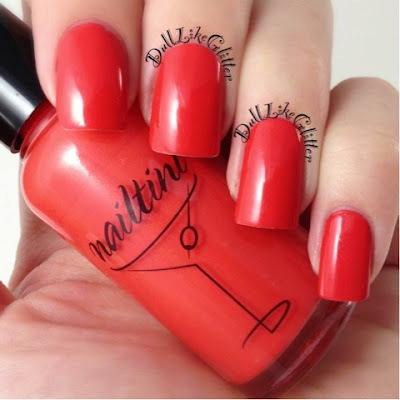 Everything is so awesome - the Nailtini formula looks perfect! Lusting after the Ipsy bag! Honestly I'm so happy I canceled my ipsy subscription. I'm not impressed with this bag. I did like that you got two polishes too. Wish I was that lucky sometimes. Nicole by OPI Pretty in Plum ist fantastisch. Ich liebe diese Farbe.